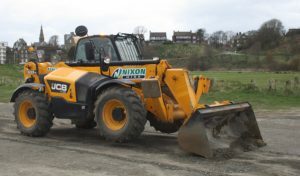 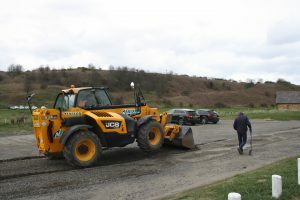 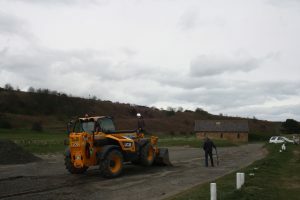 many of you will have noticed the pile of stone, 20 tonnes of it, finally the potholes have dried out enough to be filled, the digger has been working all afternoon, scraping and grading in an effort to give our car park users a smoother drive. 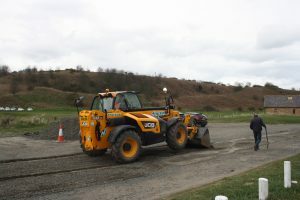 But please, drive slowly and carefully, the surface is, after all, laid over sand and will last longer if we treat it gently! 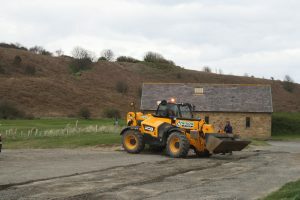 Grateful Thanks to Mr. Tom Batey, for the use of the JCB, and Andrew, digger driver extraordinaire!